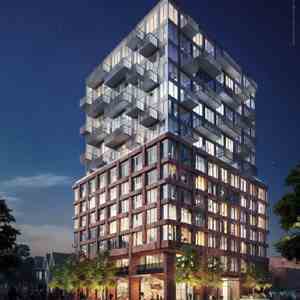 101 Spadina is a new condo development by Devron and Great Gulf currently in preconstruction at 101 Spadina Avenue, Toronto. 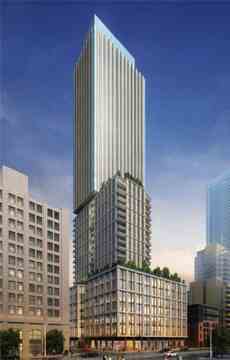 This condominium will occupy an exciting and dynamic site, just south of Adelaide Street West. Surrounded by a mix of both contemporary and heritage buildings. 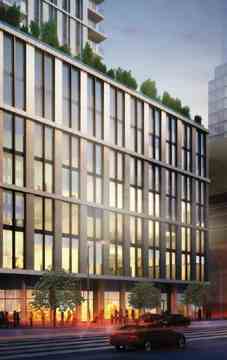 Diamond Schmitt Architects will be designing the building. So far, they have indicated the tower will incorporate a significant amount of brickwork and masonry, complimenting the many historic structures to the north and south. On the ground level, there will be nearly 12,000-square-feet of retail space, fronting onto both Spadina Avenue and Adelaide Street West. The site of this Entertainment District condo is steps from two 24-hour streetcar lines, as well as St Andrews Station, just a few blocks away. From there, it’s just a single stop to Union Station, which connects with the GO Train and the Union Pearson Express line.